With support from the ‘Friends of AYSA Foundation’ and various Swiss corporate and individual sponsors, the U18 Boys team toured Switzerland and participated in the FIFA-sanctioned, Bellinzona International U18 Tournament (28 March – 1 April 2013). In the warm-up match against a Second Division team Losone Sportiva, AYSA won 2-1. AYSA lost the first tournament match against Basel, the eventual tournament winners (weather of 4°C in the rain, on artificial turf and under floodlights), and to Atletico Madrid, the runners-up. We drew 2-2 against Desportivo Brasil, and beat the home team, Team Ticino 1-0. Despite 7th position placement, AYSA’s style of football impressed both spectators and tournament organizers, who look forward to our return. Participating in such a tournament enabled AYSA benchmark our development programme; and we established that although there still is a gap, it is narrowing, and we are well on our way to achieving similarly high levels of international youth football. The participating Teams were: Aces Youth Soccer Academy (Zimbabwe), Atletico Madrid (Spain), Basel (Switzerland), Boca Juniors (Argentina), Desportivo Brasil (Brazil), Genoa (Italy), Hajduk Split (Croatia), and Team Ticino (Switzerland). Thanks to the Phil and Oriana Collins’ charity, ‘Little Dreams Foundation’, and ‘Friends of AYSA Foundation’ sponsorships the AYSA girls went on a 14 day tour of Switzerland in 2010. They participated in the Rapid Lugano 33rd Easter Festival and placed third in a tournament that featured six teams from Switzerland, Italy, Germany, and Romania. The team also played an exhibition matches in Geneva, and beat one of the top women’s teams there. The tour also gave the girls an opportunity to see a bit of Europe They travelled by bus from Germany, visited several cities in Switzerland, and their trip to Geneva took them via northern Italy. The girls visited SPSE, the sports school in Tenero, and spent a day in class with students of the school. The made new friends and got to appreciate life from the perspective of young Swiss girls and boys their age. This was definitely a life-changing experience. 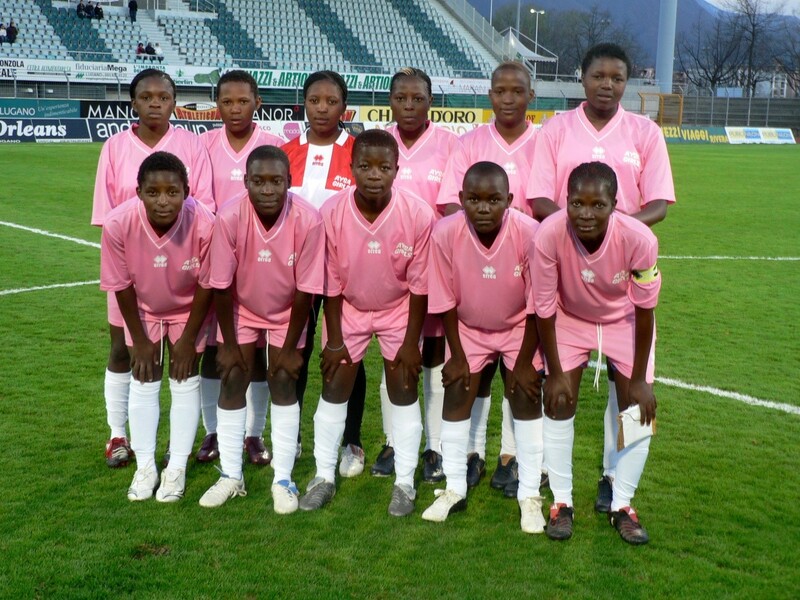 The ‘Little Dreams Foundation’ and ‘Friends of AYSA Foundation’ also sponsored the Under-15 team toured Switzerland in 2005 and 2006. They played matches in several towns, winning all except two.